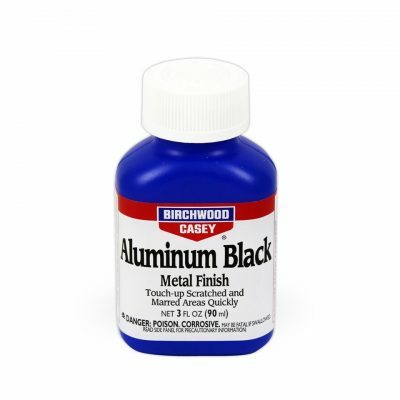 Birchwood Casey super blue for deep, blue-black finish penetrates hard steel instantly. The Casey super blue is double strength bluing solution designed for bluing highly polished steel parts and hardened steels containing nickel and chrome alloys. super blue extra strength gun blue liquid is the blackest blue. 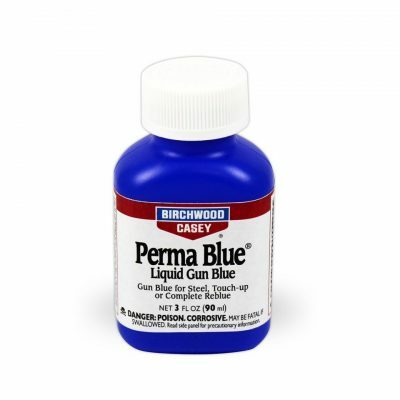 The Birchwood Casey super blue for deep, blue-black finish penetrates hard steel instantly. The Casey super blue is double strength bluing solution designed for bluing highly polished steel parts and hardened steels containing nickel and chrome alloys. 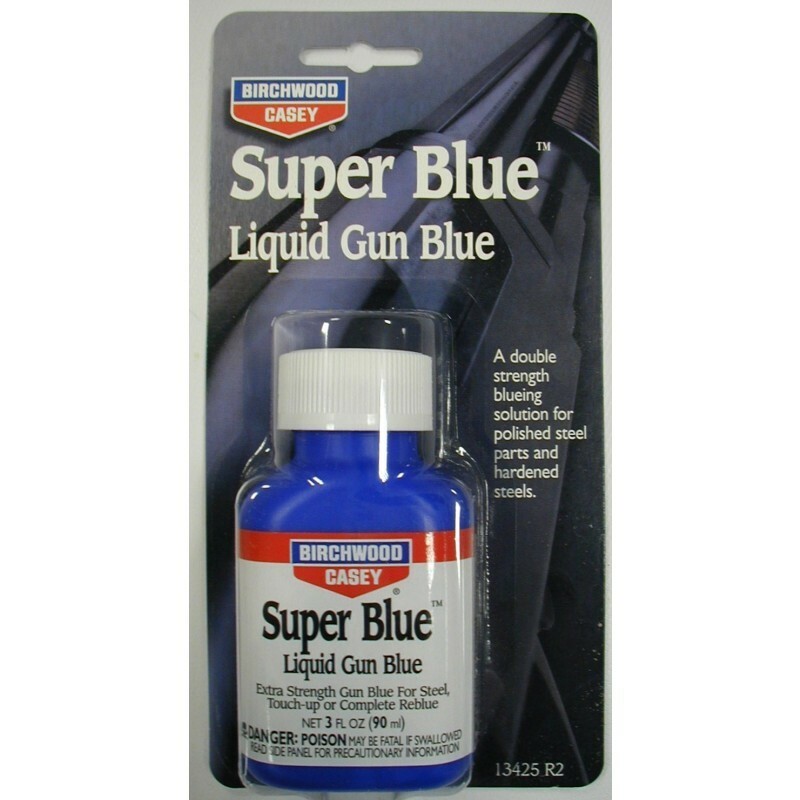 super blue extra strength gun blue liquid is the blackest blue. The blue liquid works well on polished steel that contains nickel or chrome alloys, including mauser type bolt actions. For touch-up or complete re-blue. 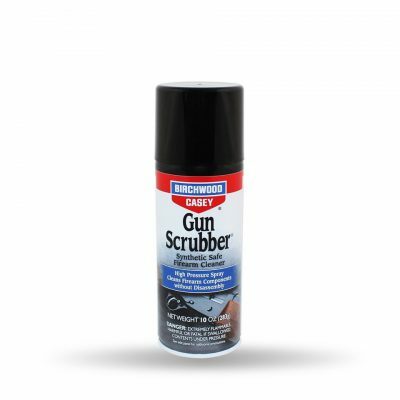 Used to touch-up or re-blue clean and rust free metal surfaces on firearms. Reacts quicker than blue paste and uses fewer coats. Can be applied with swabs. For bluing highly polished steel parts and hardened steels containing nickel and chrome alloys (except stainless). Use caution to confine the solution to the area to be re-blued, as it will have an effect on the existing blue. 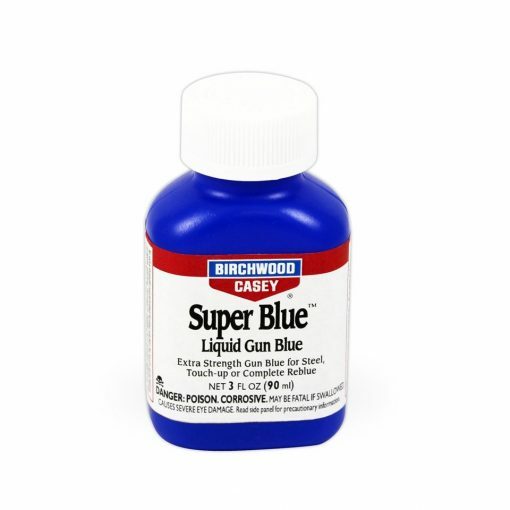 Try to avoid touching any metal while applying the Birchwood Casey super blue liquid. We recommend working sections of the metal at a time rather than the whole piece. Use a cloth or cotton wool to apply the super blue to the entire surface in even strokes. Remove the super blue before with water in under one minute and wipe dry. You can always apply more coats of super blue to reach the desired colour you are looking for. Q: How do I apply Casey super blue? 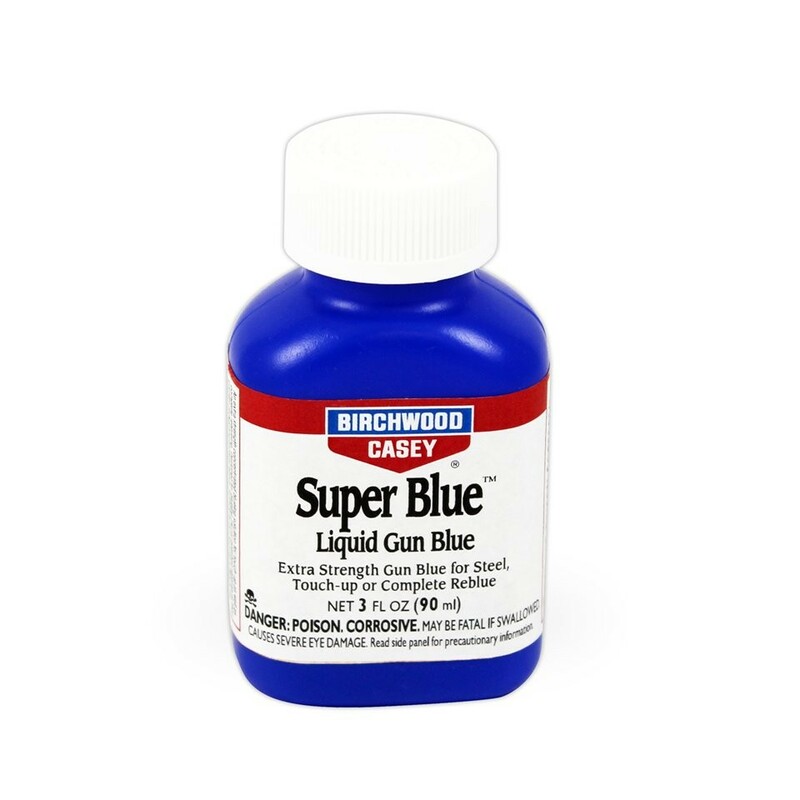 A: Apply the Casey super blue liquid cold using cotton swabs, synthetic brush or sponge.